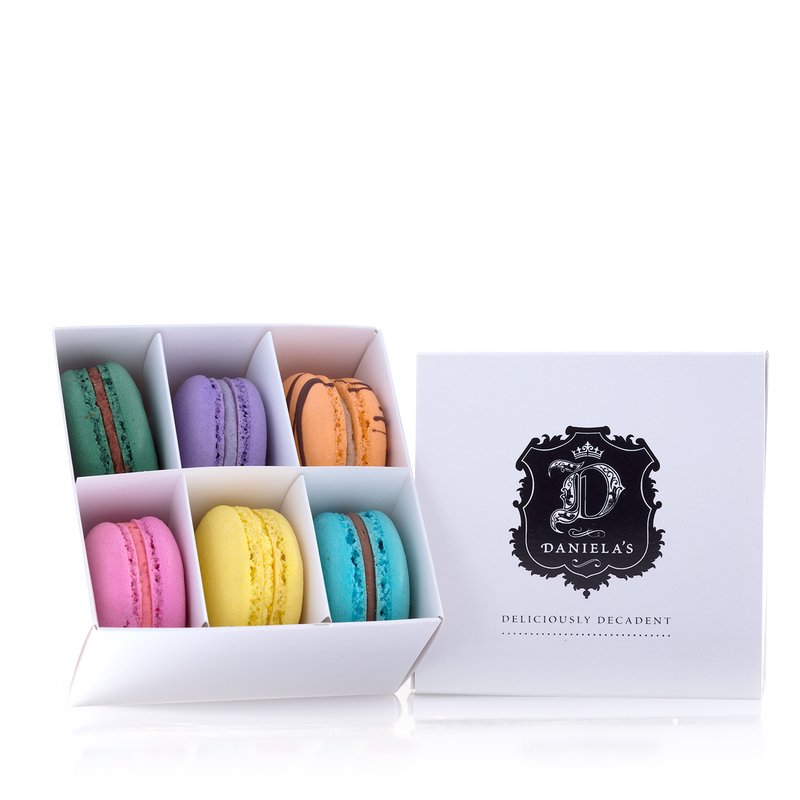 Our Macaroon Gift Boxes are made up of our daily selection. Custom orders are welcome. please note this under special instructions at checkout. 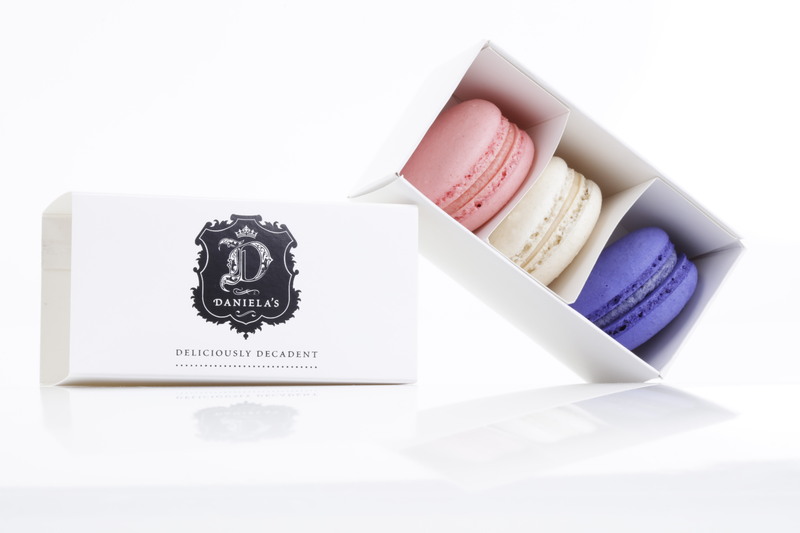 Our macaroons are made using Californian Almonds, Fresh Egg White, Sugar, White and Dark Chocolate and Real Dairy Cream. 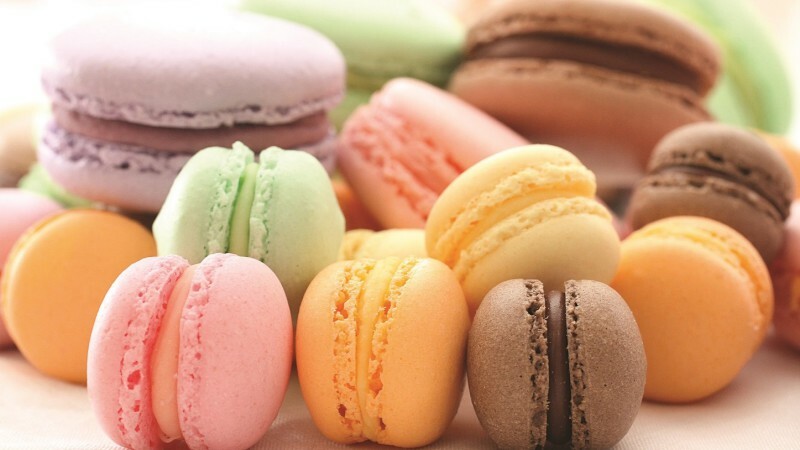 Our macaroons are Gluten free, but are not suitable for consumers with any of the following allergies: nuts, dairy or eggs. 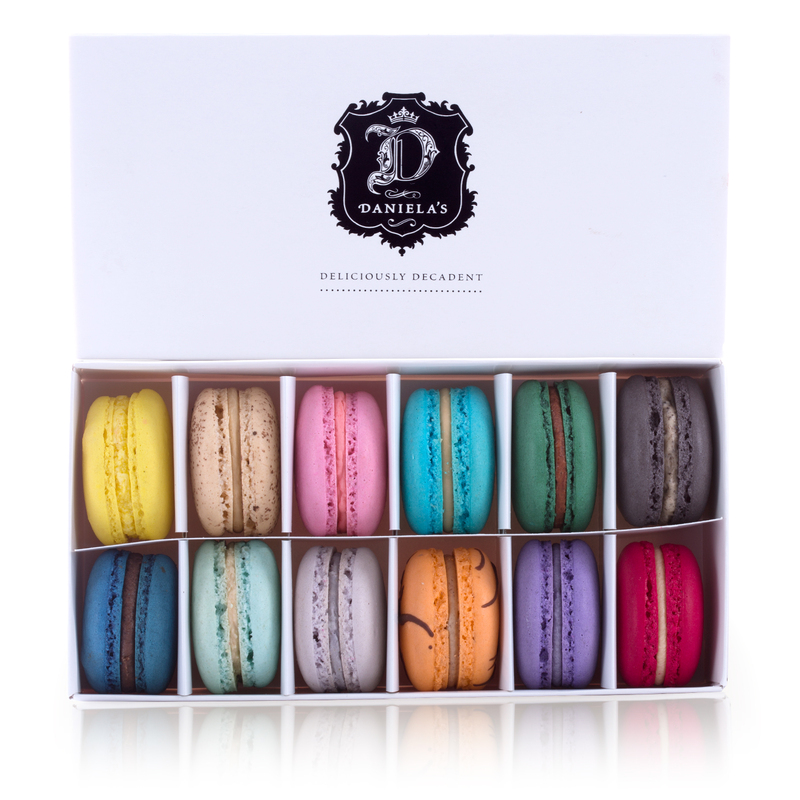 – We make use of Americolor quality food colouring and natural cocoa to colour our macaroon shells. 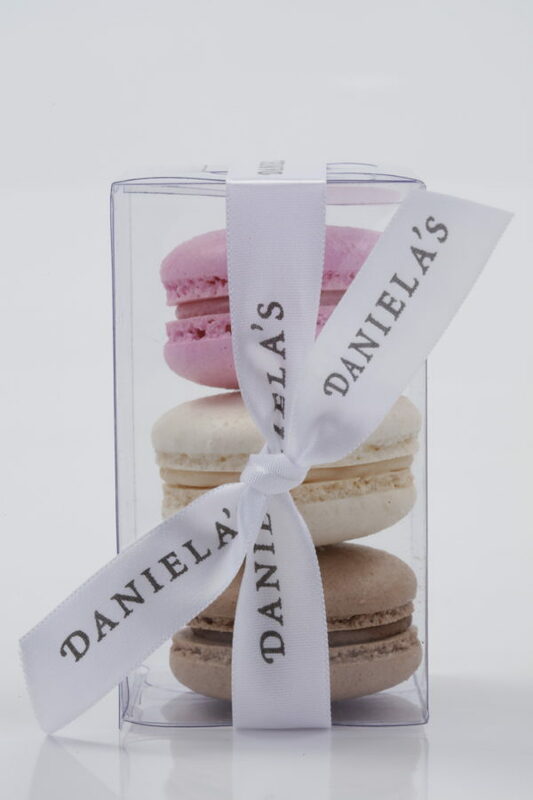 – Our Vanilla and Chocolate varieties do not contain any colourants. 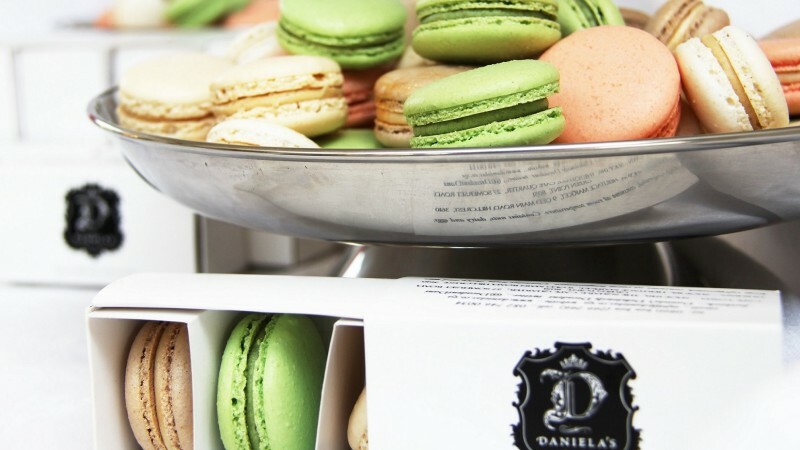 – All our flavours are natural. – No alcohol is used. 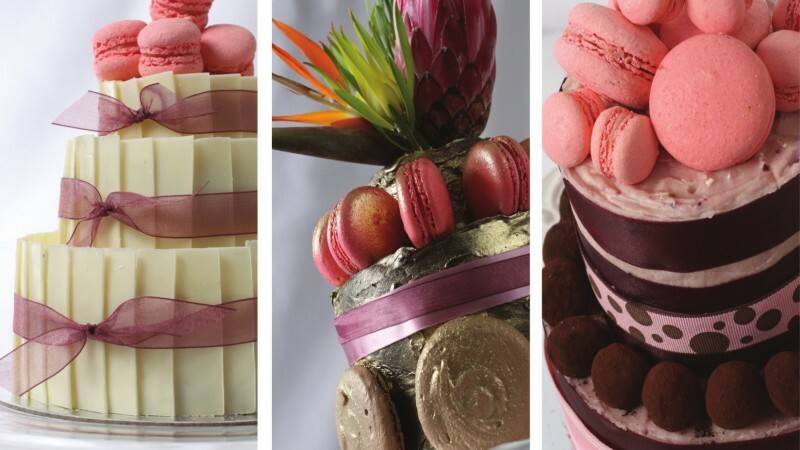 – All ingredients are Halaal and Kosher and free of any animal derivatives. This item is subject to a delivery charge. Please see our Delivery Information page for more information.